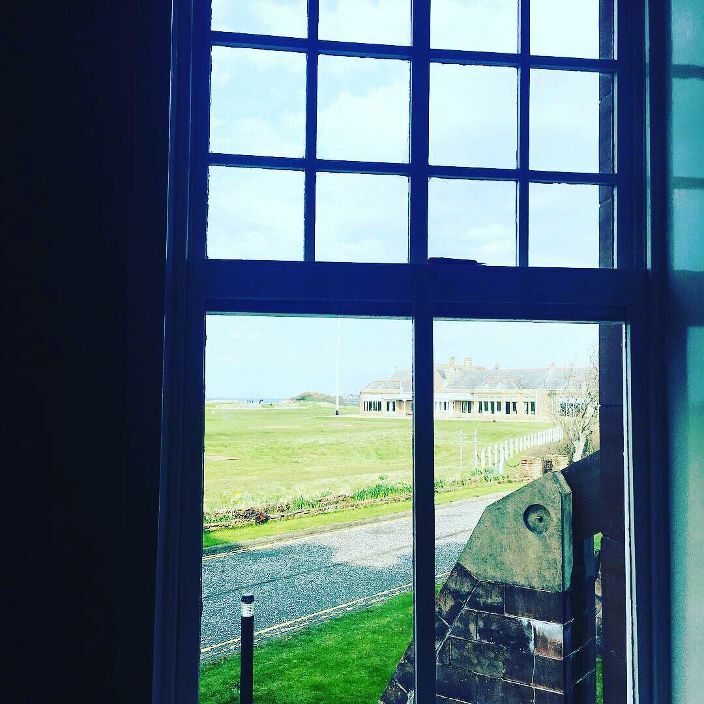 Thank you to all the staff at The Marine Hotel, Troon who helped and were very excited about the new Hamish MacDonald Room! 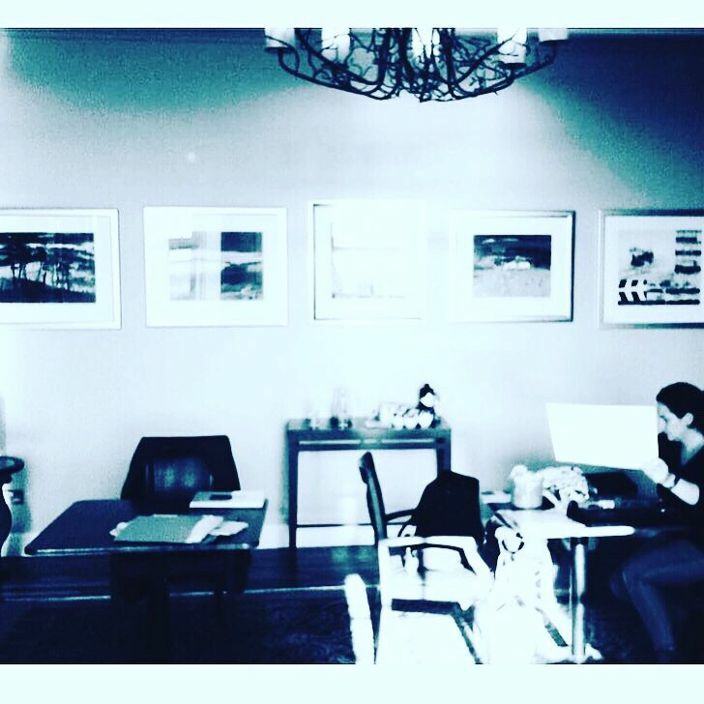 Work continues … ! 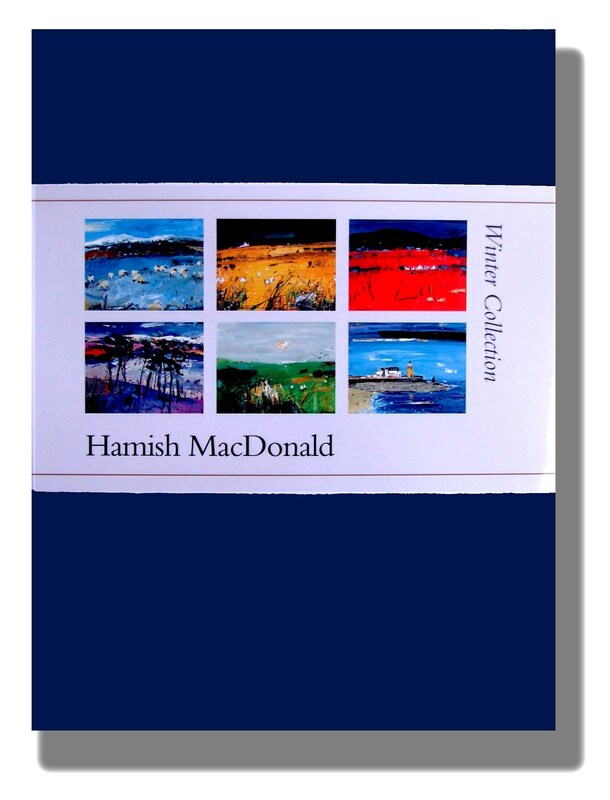 Happy Easter from everyone at Hamish MacDonald Prints ! 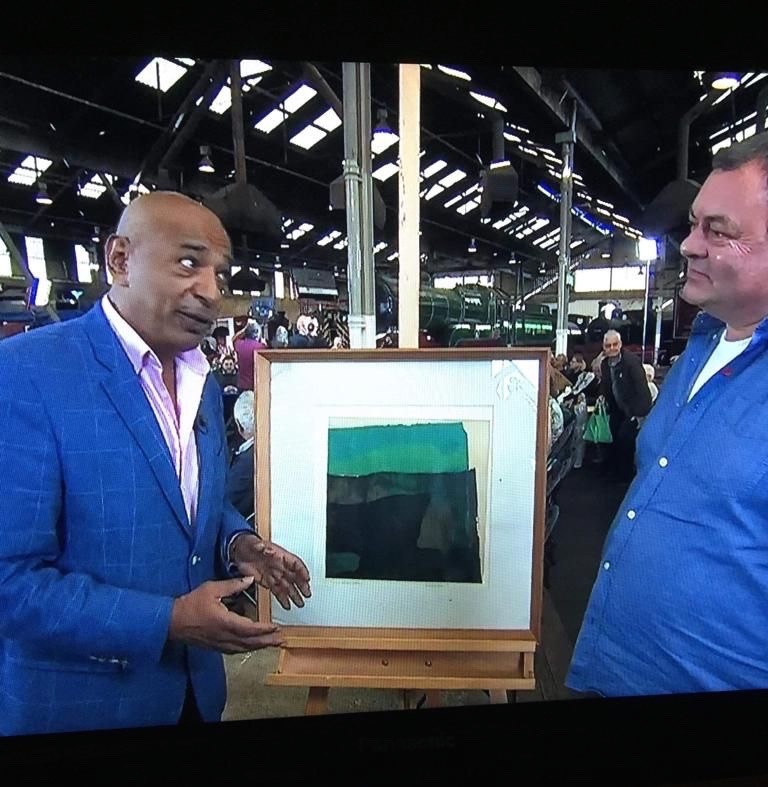 Hamish’s ‘Land Formations’ on TV ‘Flog-It’ ! ‘Land Formations’ is from the same circa as ‘Blue Landscape’ which was exhibited at this year’s Summer Exhibition in Glencoe. 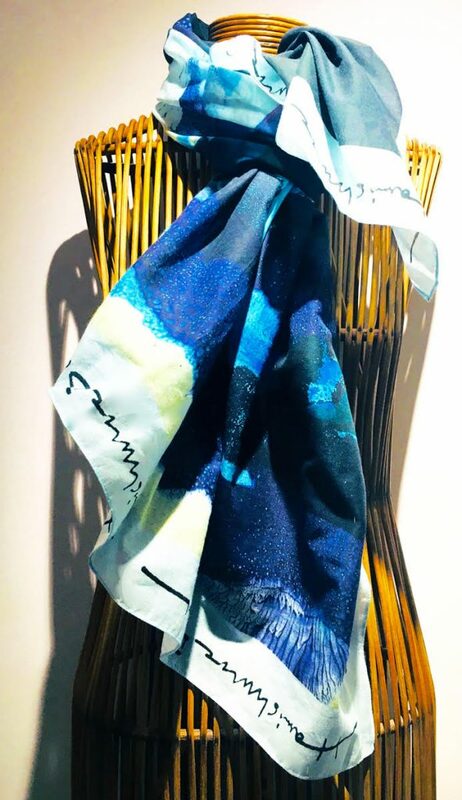 NEW Open Edition Prints & NEW Luxury Scarves coming soon! 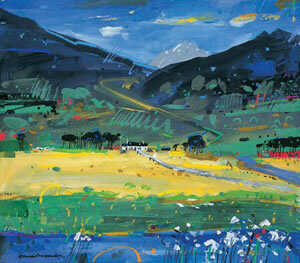 ONLY 7 days left to visit our current Exhibition at The National Trust for Scotland, Glencoe visitor centre. 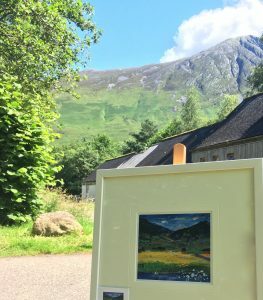 Only 7 days left to visit our current Exhibtion at The National Trust for Scotland, Glencoe visitor centre. 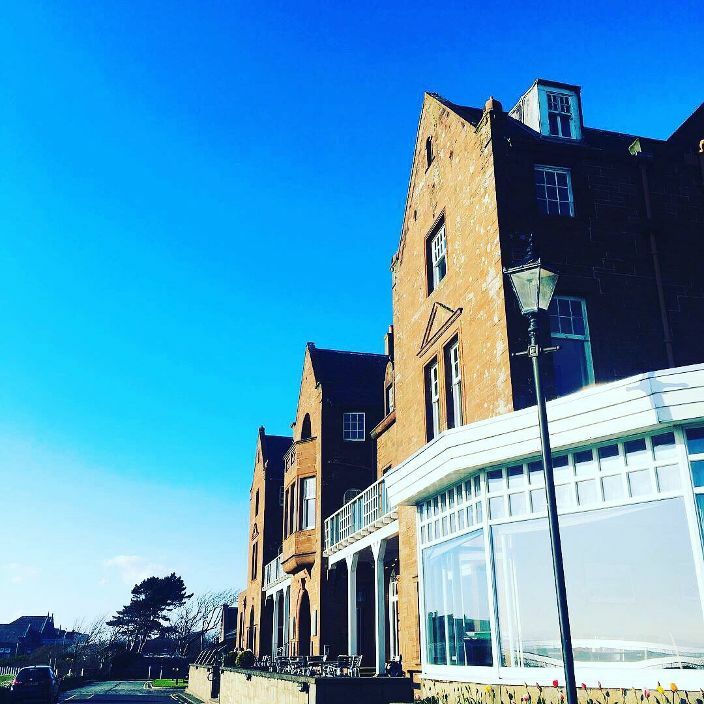 Open everyday 10 – 5pm! 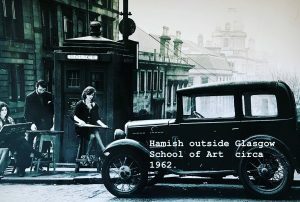 *Please note we will be CLOSED on Thursday 11th October due to an educational event the gallery. Re-Opening on Friday 12th October 10am – 5pm! *LAST DAY OPEN *Saturday 13th October 10am – 5pm! *You can also follow us on Instagram, Twitter and Facebook ! 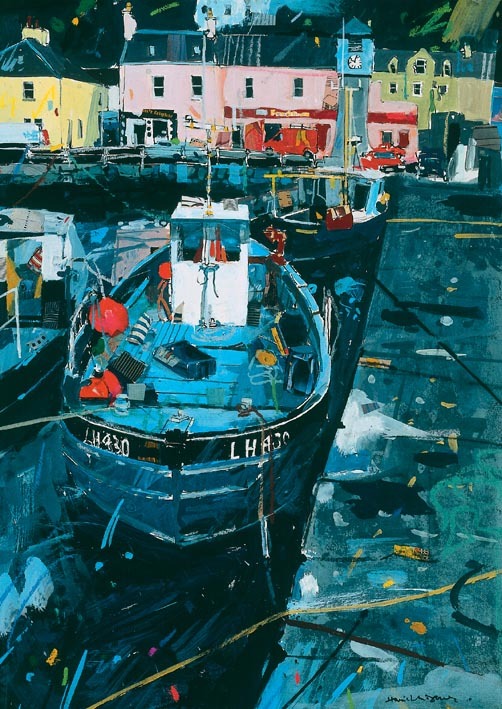 Print Exhibition now Open until Sat 13th October! 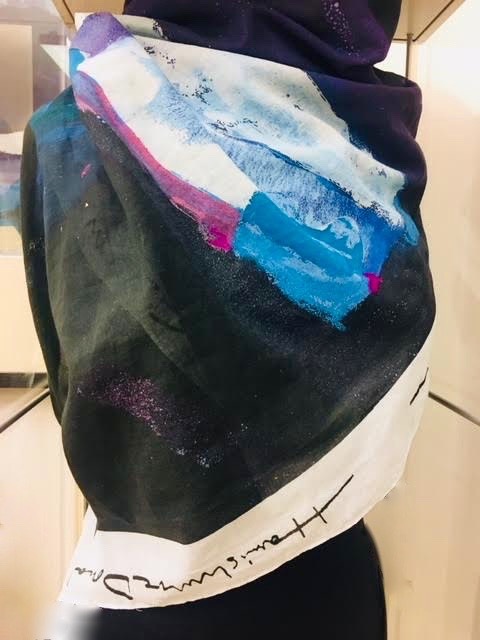 Exhibition extended until Sat 13th October 2018 ! Our Print Exhibition 2018 has just been extended and we are now OPEN everyday 10am – 5pm until Saturday 13th October! 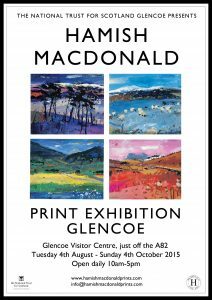 Exhibition OPEN at The National Trust for Scotland, Glencoe visitor centre, just off the A82. 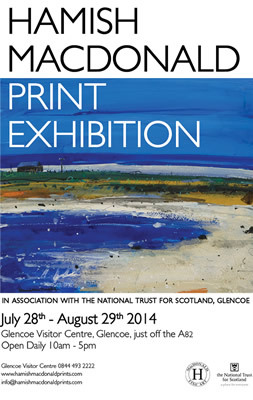 Summer Exhibition at The National Trust for Scotland, Glencoe visitors centre. Summer Exhibition continues throughout September 2018! *Please note* Will we be closed on Monday 24th September due to an educational event. OPEN again on Tuesday 25th until Sunday 30th September 10am -5pm! 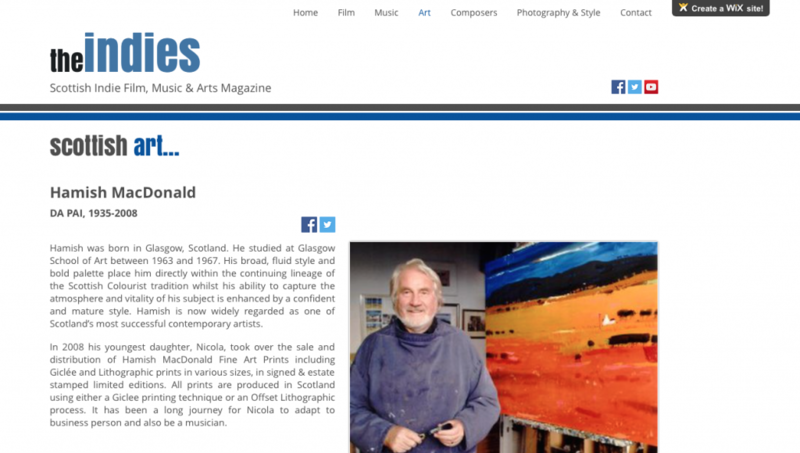 If you are unable to visit why not take a look at our online gallery. * Please note* If you are making a special journey please contact info@hamishmacdonaldprints.com or the NTS Glencoe visitor centre 01855 811307 to confirm opening times. Official Exhibition poster now available to purchase! Viewing piont at NTS Glencoe. OPEN Monday 10th September 10am – 5pm! Closed Tuesday 11th September due to an educational event. OPEN Wednesday 12th and then everyday including Sunday 23rd 10am- 5pm! Closed Monday 24th September due to an educational event. OPEN on Tuesday 25th until Sunday 30th September 10am -5pm! In other news… film star visits! 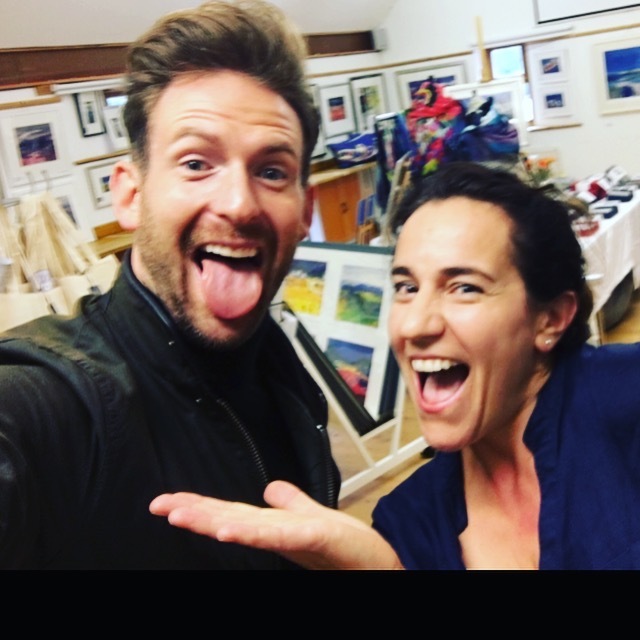 Taking a break from filming, Mr.Craig McGinlay just popped in to say hello! Ladies & Gentlemen taking a break from filming @craigmcginaly just popped in to say hello! 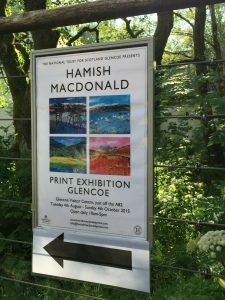 Beautiful day to visit the Hamish MacDonald Print Exhibition at The National Trust for Scotland, Glencoe visitor centre. Exhibition Open daily 10am- 5pm! *Please note : The next closures will be Friday 24th & Sunday 26th August due to educational events in the gallery space. 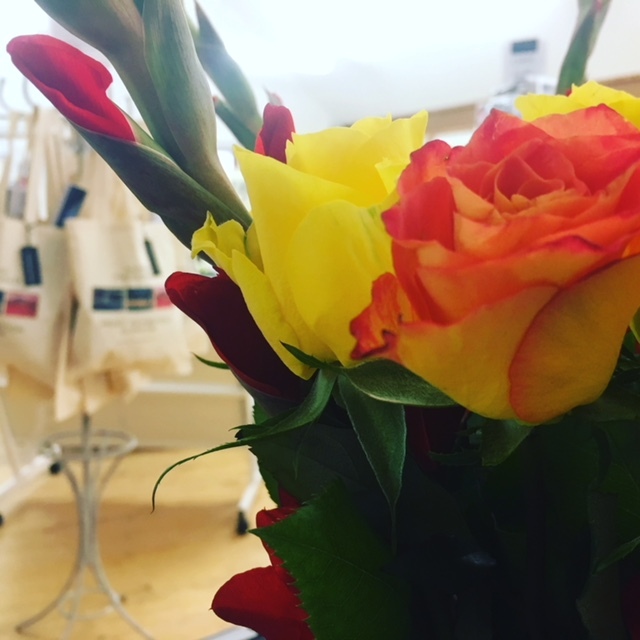 We are OPEN on SATURDAY 25th 10am – 5pm! & Back to normal opening hours on MONDAY 27th August 10am! Hope to see you there! 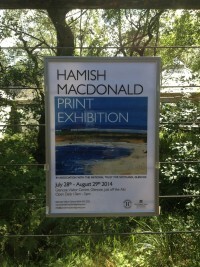 Hamish MacDonald Print Exhibition currently on at The National Trust for Scotland, Glencoe visitor centre. Come on in out the rain and visit the Hamish MacDonald Print Exhibition at The National Trust for Scotland, Glencoe visitor centre! Open again Wednesday 15th August 10am – 5pm ! 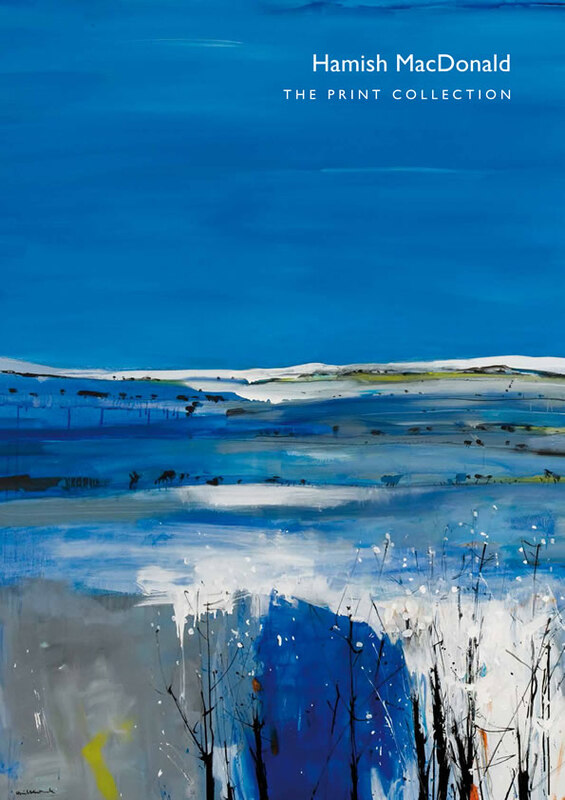 DUE TO AN EDUCATIONAL EVENT IN THE GALLERY THIS WEEKEND OUR SUMMER EXHIBITION WILL BE CLOSED Saturday 11th and Sunday 12th. REOPENING Monday 13th at 10am! New and Rare Prints ! 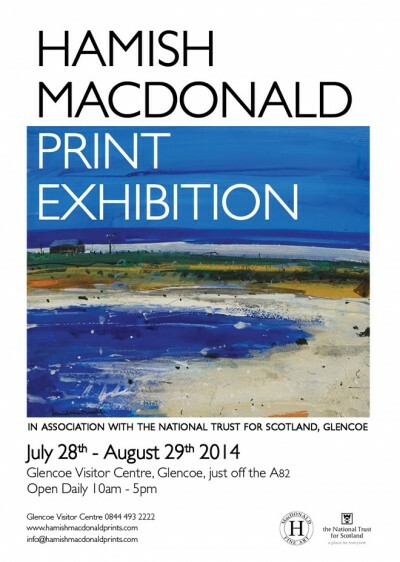 Saturday 4th August – Saturday 29th September @National Trust for Scotland, Glencoe Visitor Centre. 10 Days to go until our 10th Anniversary Exhibition opening! 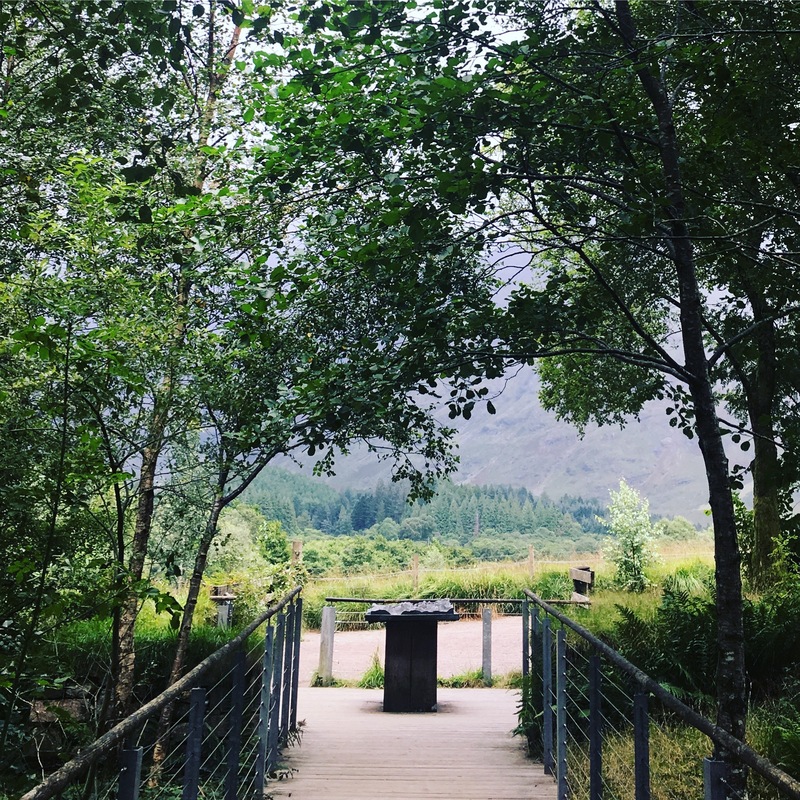 Opening Saturday 4th August 2018 @National Trust for Scotland, Glencoe Visitor Centre. 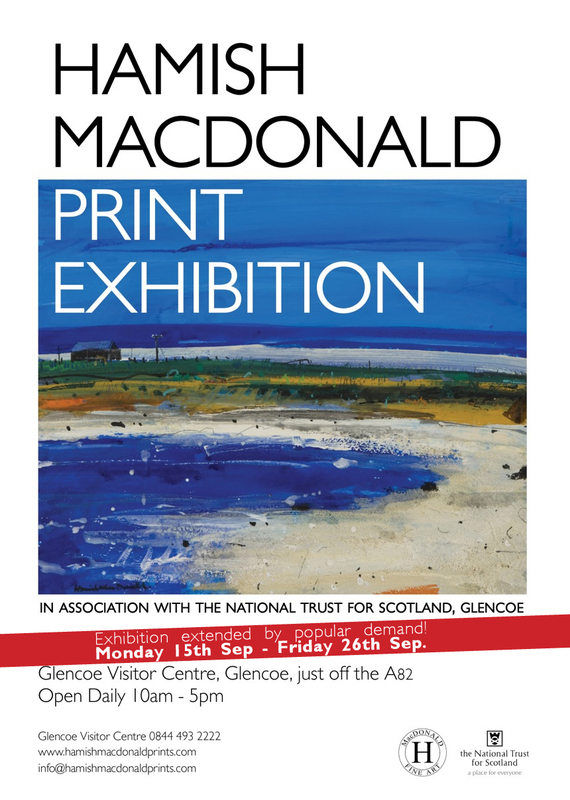 * Please note* if you are making a special journey please contact myself or the NTS Glencoe visitor centre to confirm the exhibition will be opened on that day. Official Exhibition Poster now available ! 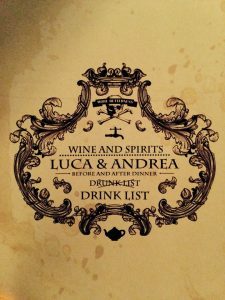 Opening soon..! 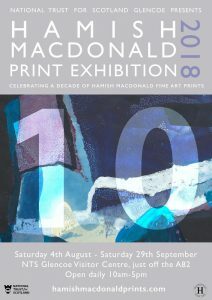 Print Exhibition 2018. 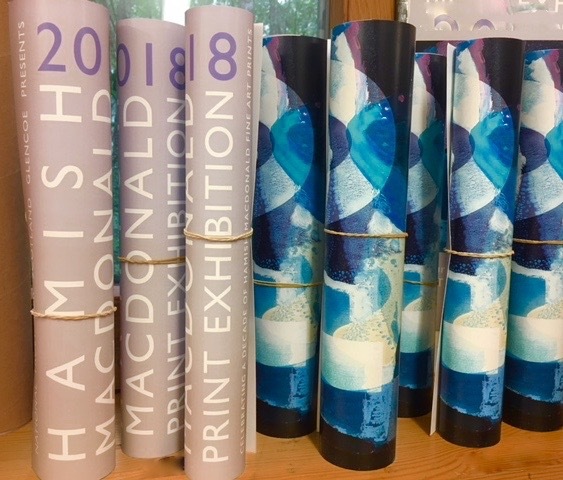 Hamish MacDonald Print Exhibition 2018.
blank inside for your own special greeting! 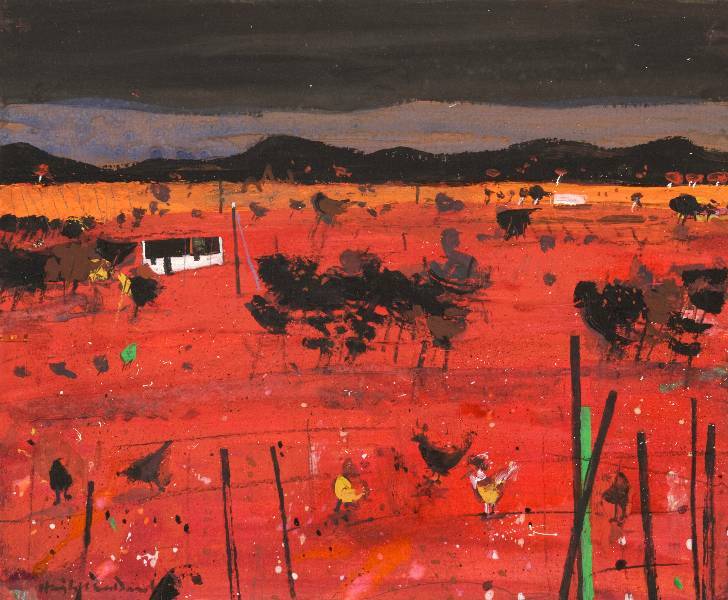 by Hamish MacDonald DA PAI b.1935 – d.2008. 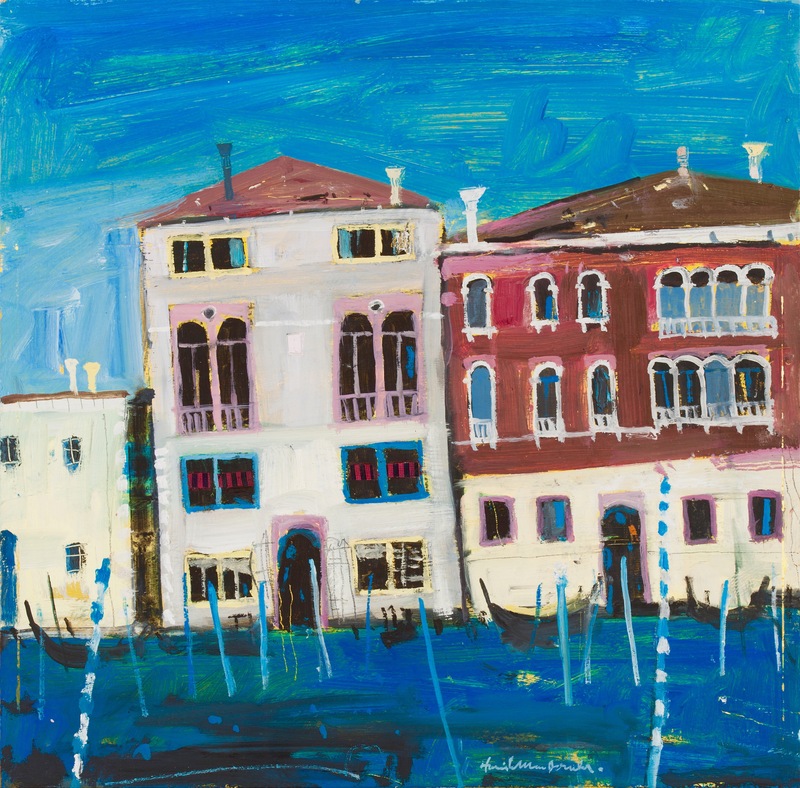 ‘Evening Grand Canal Venice’ print of the week…Summer warming up! Countdown begins to our 2018 EXHIBITION! Opening AUGUST! More info SOON! 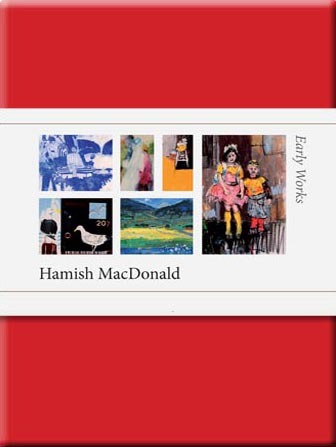 Cards for any occasion & blank inside for a special greeting by Hamish MacDonald DA PAI b.1935 – d.2008. Size 5 x 7″ supplied with a white envelope & cellophane wrapped. 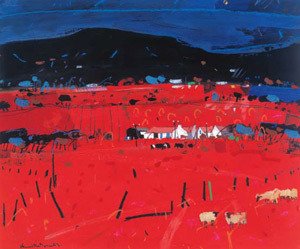 ‘STAFFA, FINGALS CAVE’ ♥ Limited edition print & our print of the week by Hamish MacDonald DA PAI b.1935 – d.2008. Perfect day for a day trip here! 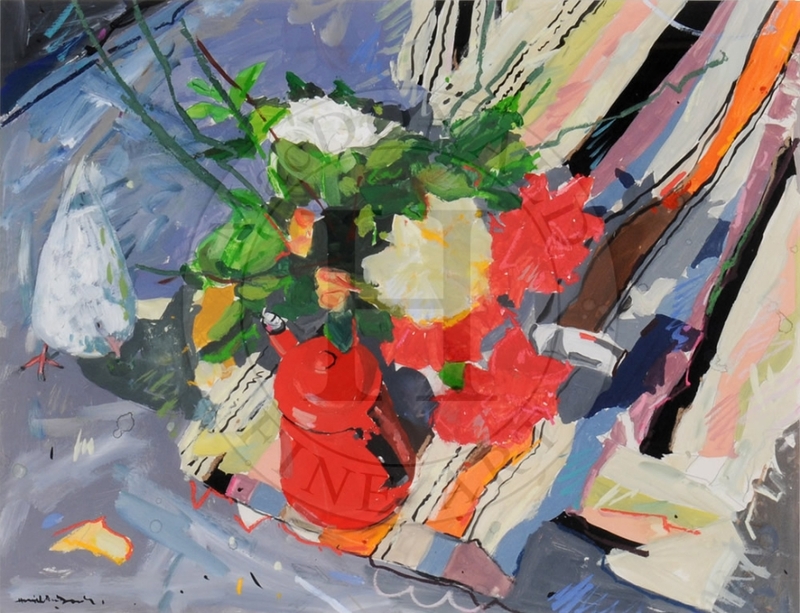 ‘Red Coffee Pot’ …Giclee print of the week! Friday! 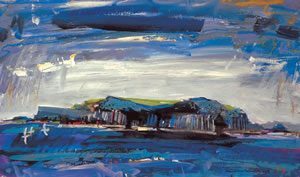  ‘BEACH MORAR’  Card of the week! 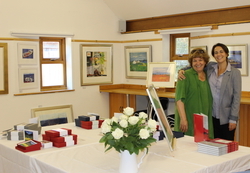 Our summer exhibition in Glencoe was a fantastic success this year. 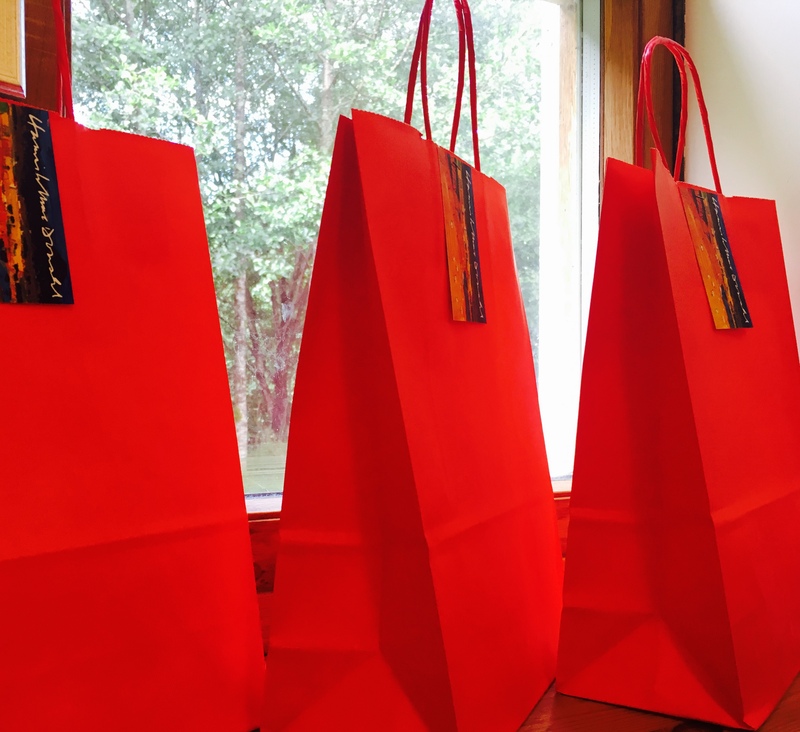 and an exciting competition or two! 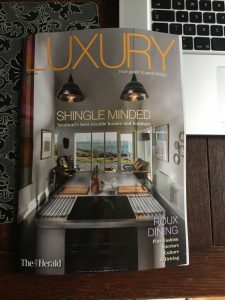 The links can be found at the bottom of this post. Summer Exhibition 2017 Officially Open! 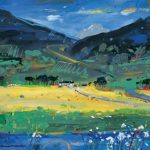 Latest – October 2017 – Glencoe Exhibition: Viewing By Appointment throughout October 2017. 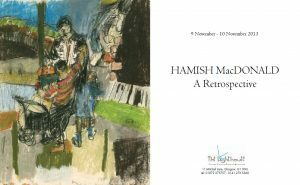 Hamish MacDonald Print Exhibition 2017 is officially open! 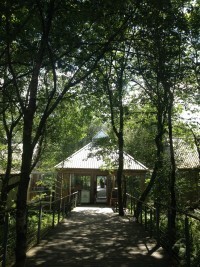 @The National Trust for Scotland, Glencoe Visitor Centre. 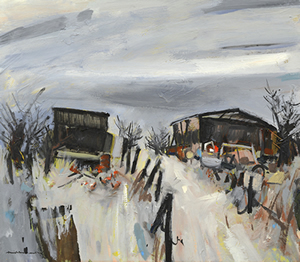 Exhibition Open everyday 10 -5 pm. 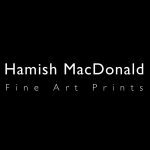 info@hamishmacdonaldprints.com to check time and dates, thank you! Have a great summer and hope to see you in Glencoe! 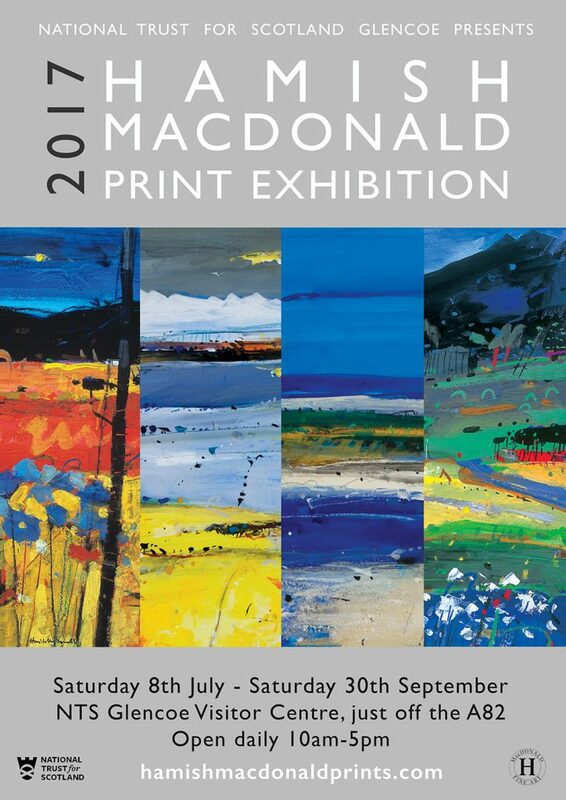 Hamish MacDonald Print Exhibition 2017 Opening this Saturday 8th July. 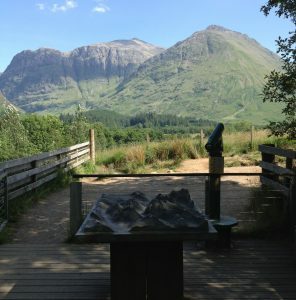 At the National Trust for Scotland, Glencoe Visitor Centre, just off the A82. Open everyday 10am – 5pm. Hamish MacDonald Print Exhibition 2017. 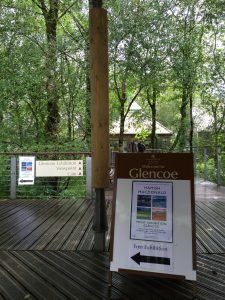 Opening Saturday 8th July 2017 @National Trust for Scotland, Glencoe Visitor Centre. 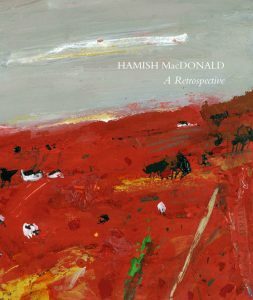 Working on new print & silk designs based on archived Hamish MacDonald PAI 1935- 2008 artwork. 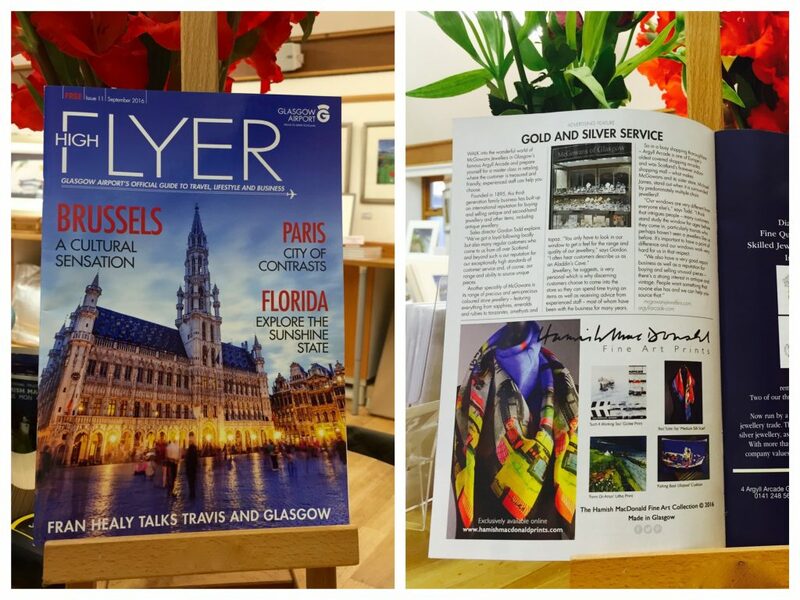 If you are passing through Glasgow Airport anytime over the next 3 months….. If you are passing through Glasgow Airport anytime over the next 3 months look out for this…! Beautiful Morning! 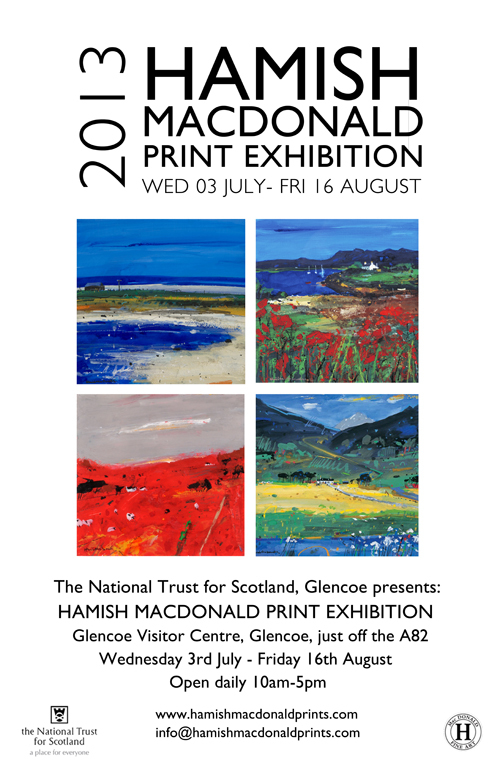 Beautiful Week to visit our current Print Exhibition 2016 at the National Trust for Scotland, Glencoe visitor center. Print Exhibition 2016 Officially Open! Hamish MacDonald Print Exhibition 2016 is officially open! Open everyday 10 -5 pm. 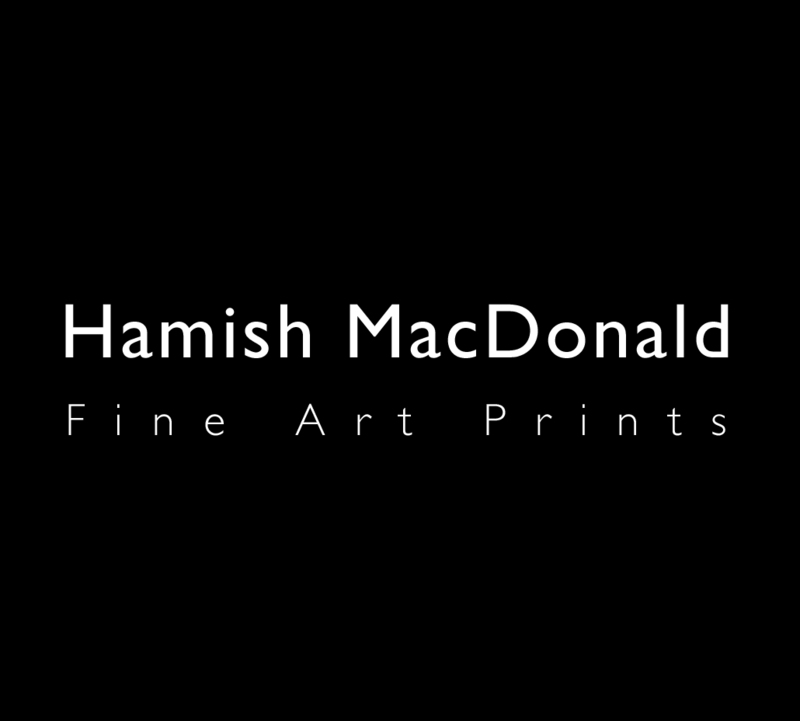 contact info@hamishmacdonaldprints.com to check time and dates, thank you! 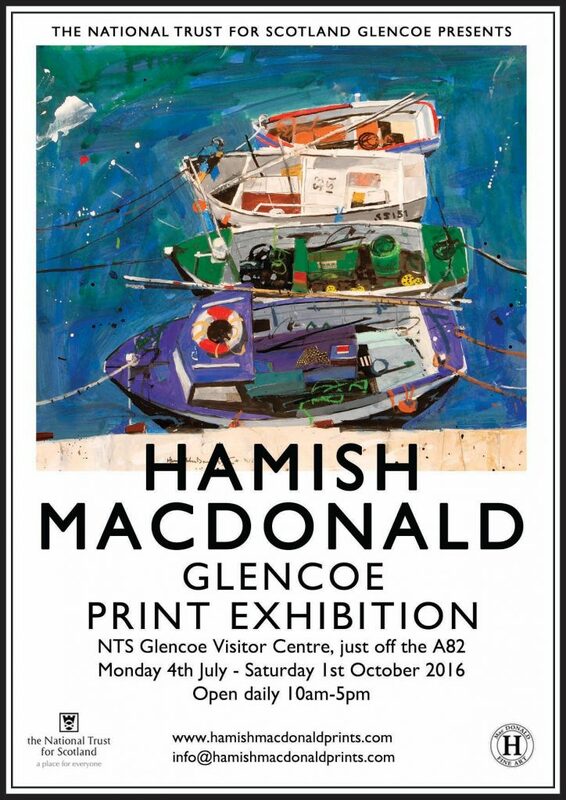 The Hamish MacDonald Prints Exhibition is coming to The National Trust for Scotland, Glencoe Visitor Centre, Scotland, Monday 4th July 2016 to Saturday 1st October 2016, 10am – 5pm. 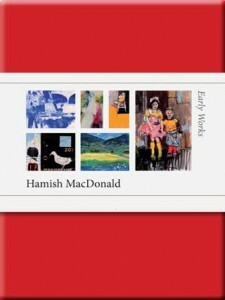 Very excited to announce two fantastic Hamish MacDonald Prints Exhibitions coming very soon to Scotland & Italy ! 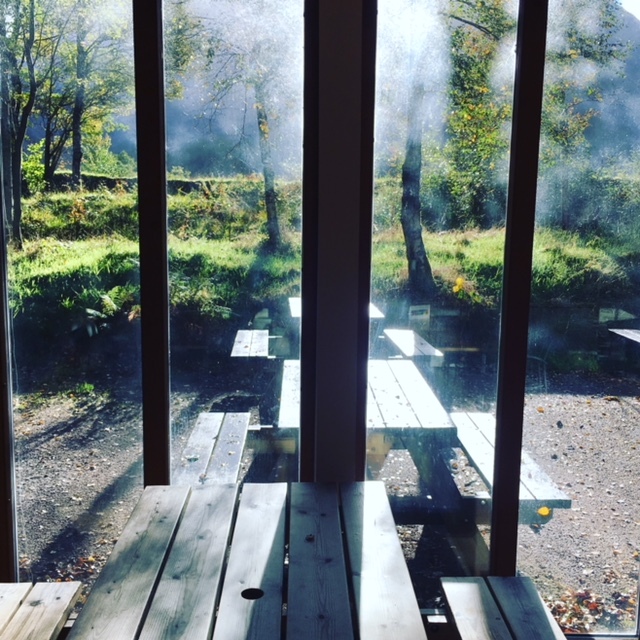 ‘The National Trust for Scotland, Glencoe Visitor Centre, Scotland & ‘Luca e Andrea, Milano, Italy’. Summer 2016 is warming up…!!!! Non vedo l’ora…!! 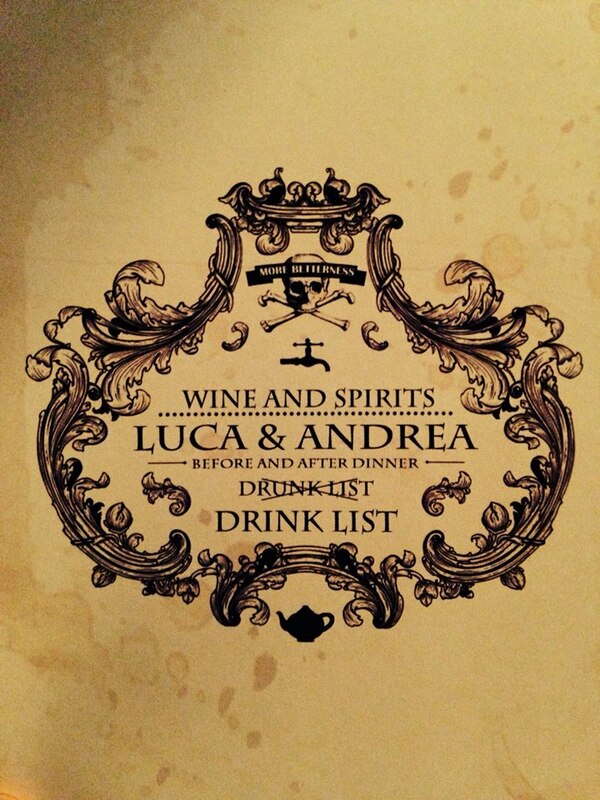 More info very soon!!! 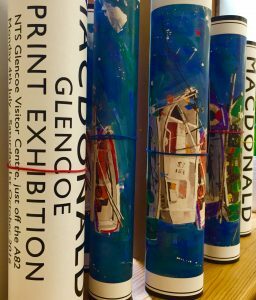 Summer Exhibitions 2016 ‘Glencoe, Scotland’ & ‘Milan, Italy’ ! 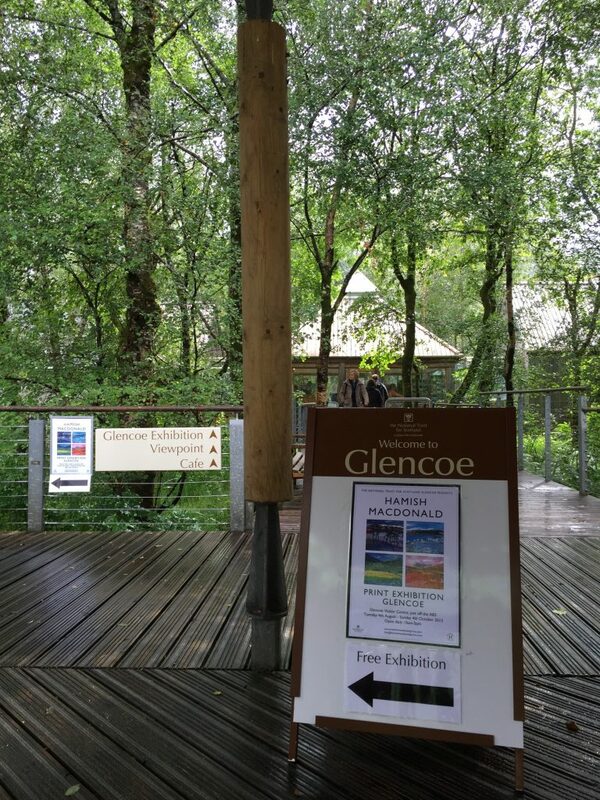 NTS Glencoe Summer Exhibition 2016 Coming Soon ! 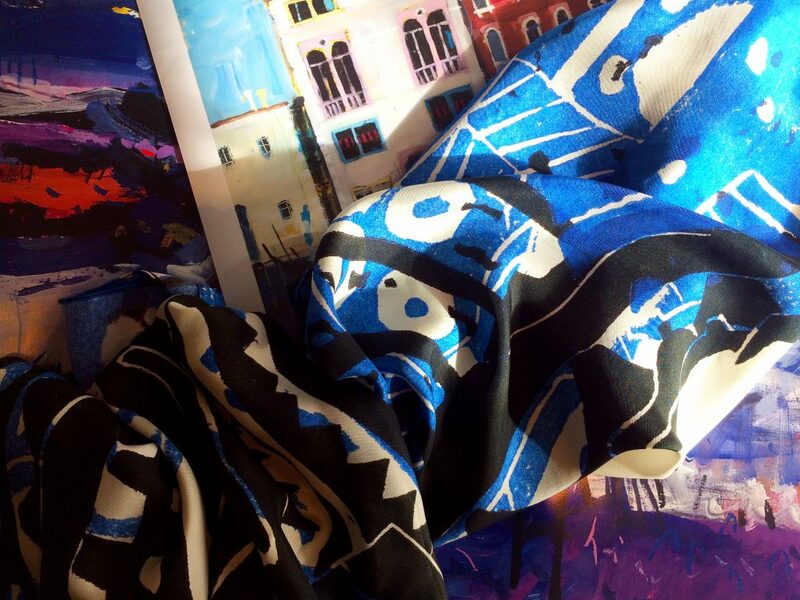 We are very excited to be launching our bespoke Scarf and Cushion Collection later this month! 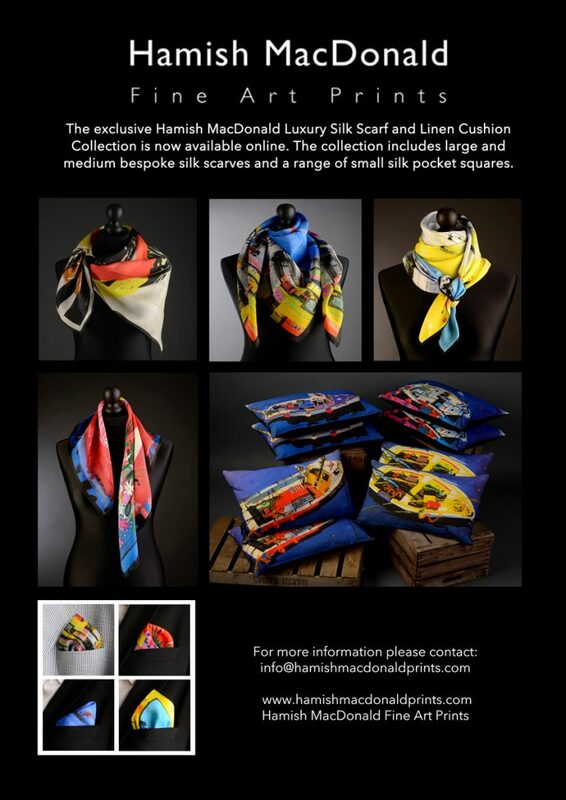 Small individual bespoke runs of Hamish MacDonald designer scarves and cushions. 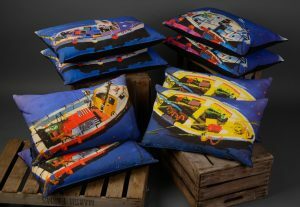 All fabrics designed, printed and made in Scotland. 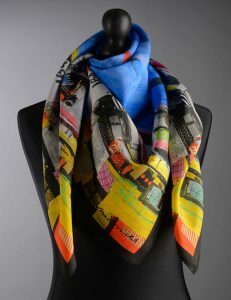 On sale through the website soon! Here is a small preview! 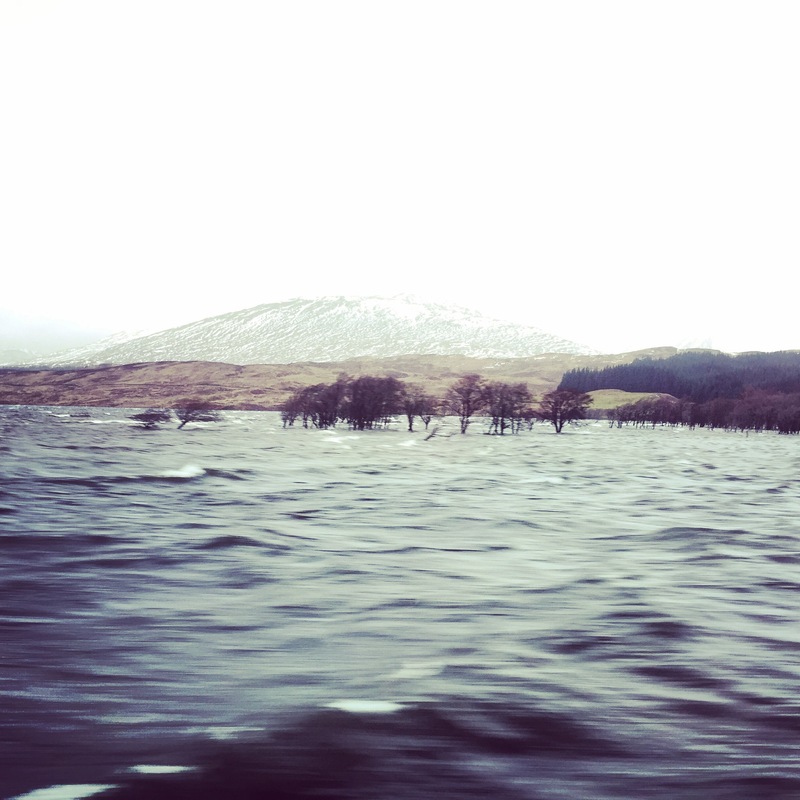 Working in the highlands…think we need a boat ! 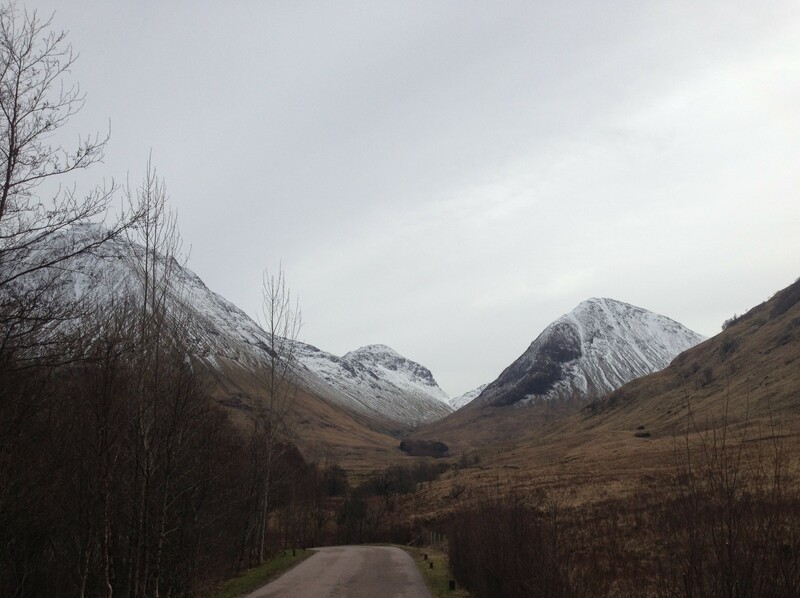 Fantastic Final Day at the National Trust for Scotland, Glencoe Visitor Centre. 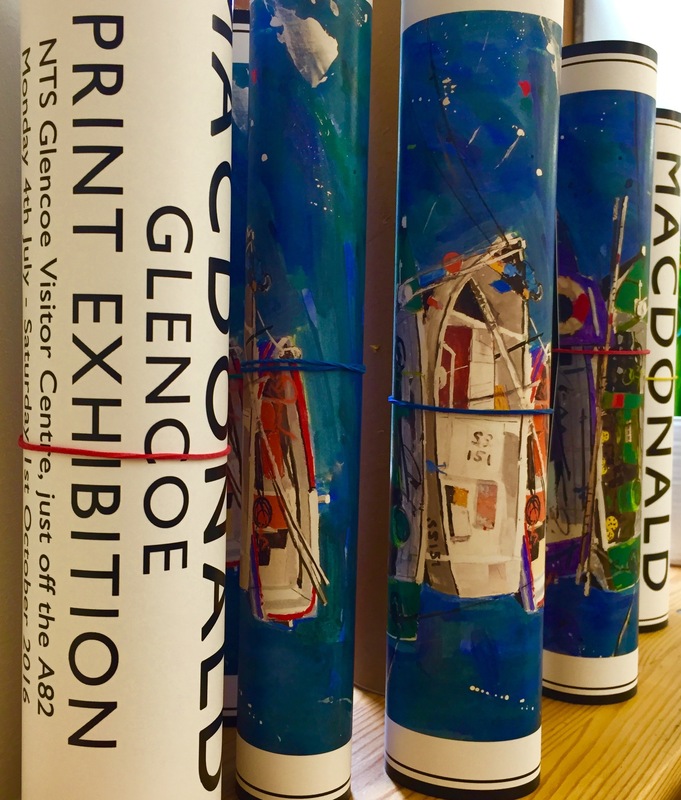 Beautiful week to visit the Glencoe Print Exhibition. 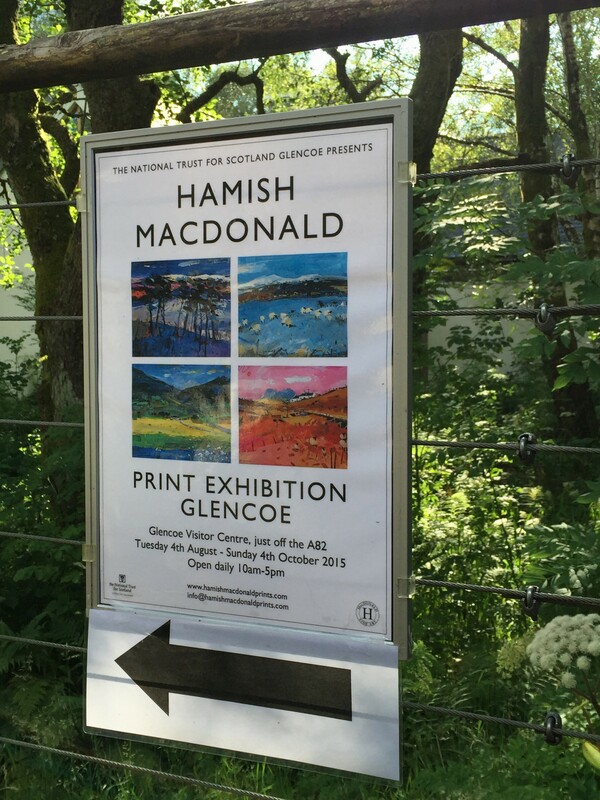 Beautiful week to visit the Print Exhibition in Glencoe. Only 10 days left to visit! Exhibition going fantastic! 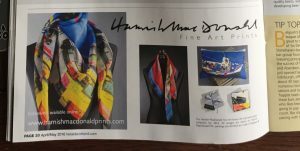 Only 10 days left to visit….! 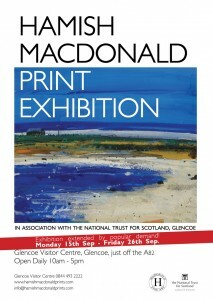 The National Trust for Scotland, Glencoe Print Exhibition. 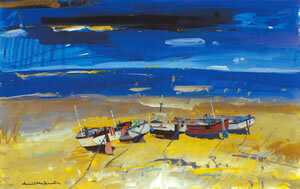 Exhibition going great and the sun has arrived ! Now Open ! 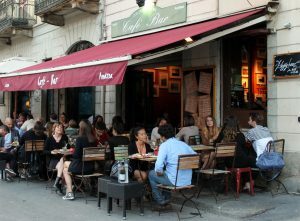 Come in out the rain ! 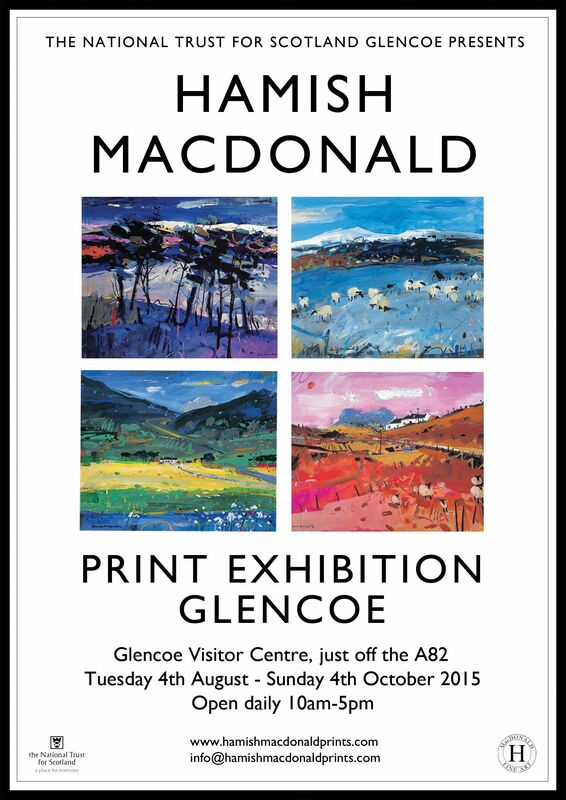 Glencoe Print Exhibition Opening Next week! Opening August! Print Exhibition 2015! Now Open ! Happy Easter ! 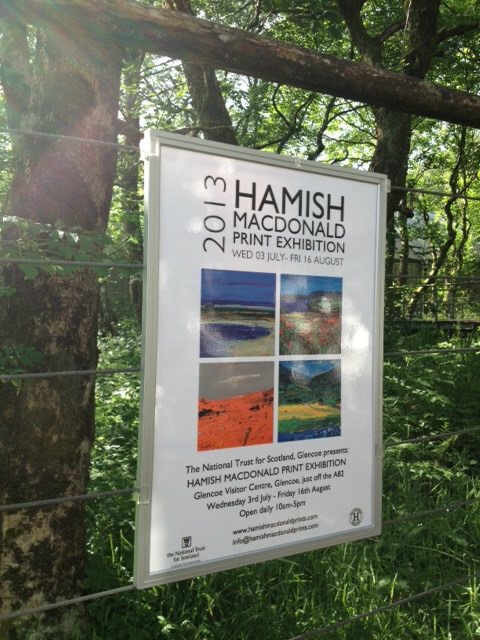 The Hamish MacDonald print exhibition has returned to the ‪#‎Glencoe‬ Visitor Centre. 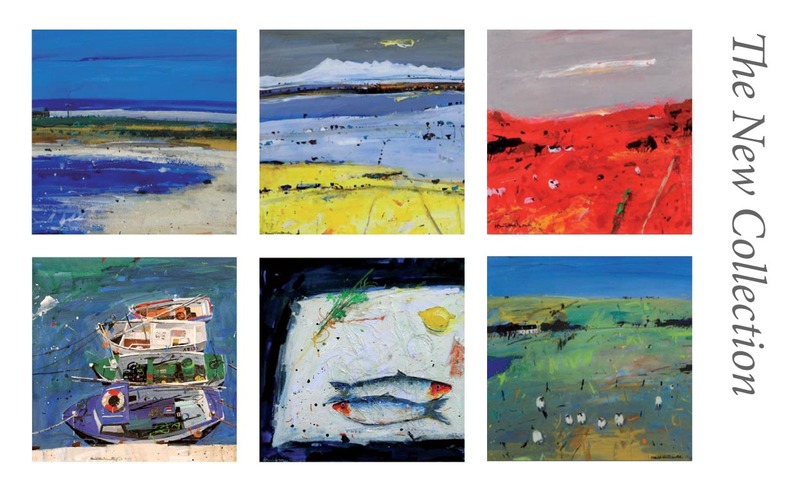 Call in over the Easter weekend to view this collection of one of Scotland’s most successful contemporary artists! 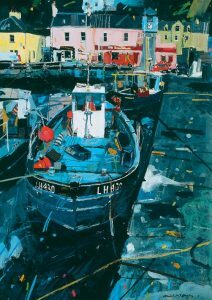 Full range of limited edition prints and cards also available. 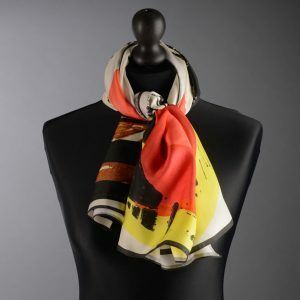 Order now for Christmas delivery! Coming soon – New card gift boxes for Winter! 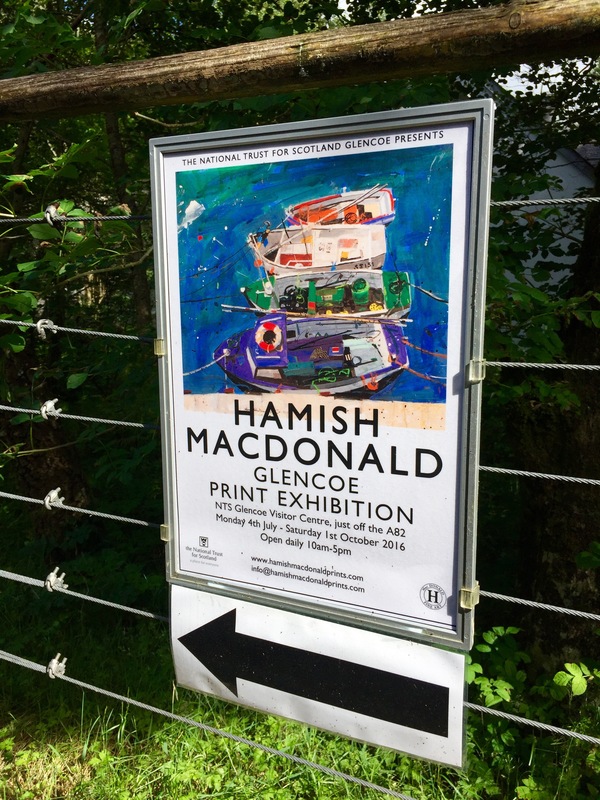 Hamish MacDonald Print Exhibition continues…..
2014 Hamish MacDonald Print Exhibition at the National Trust For Scotland, Glencoe. Monday 15th September to Friday 26th September 2014. I have been overwhelmed by the interest in my father’s work from visitors all over the world, it was a pleasure to meet you all! Thank you for making the 2014 exhibition a great success! 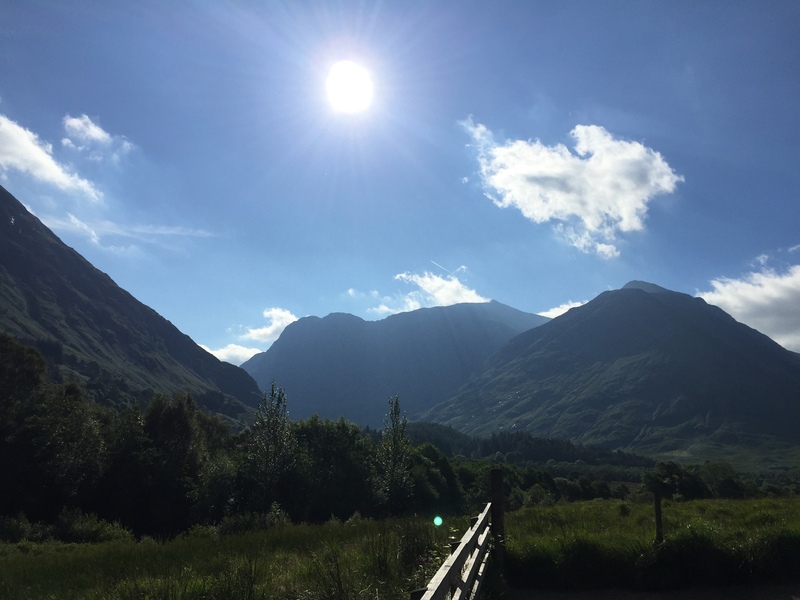 Beautiful sunny last week in Glencoe! Great 1st week! 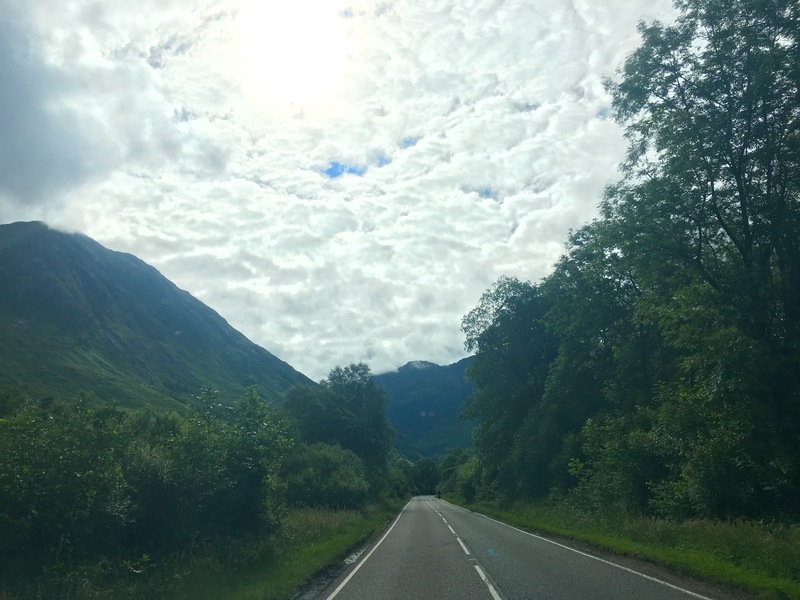 Fantastic to be back in Glencoe! Thank you to team ‘macrossioshea’ for all your help! Opening day in the sunshine! as per his art school training. Contact us for more information. There is also a Limited Edition Hardback Book to accompany the Retrospective Exhibition. 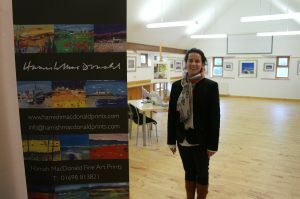 Glencoe Print Exhibition 2013 – Thank You! 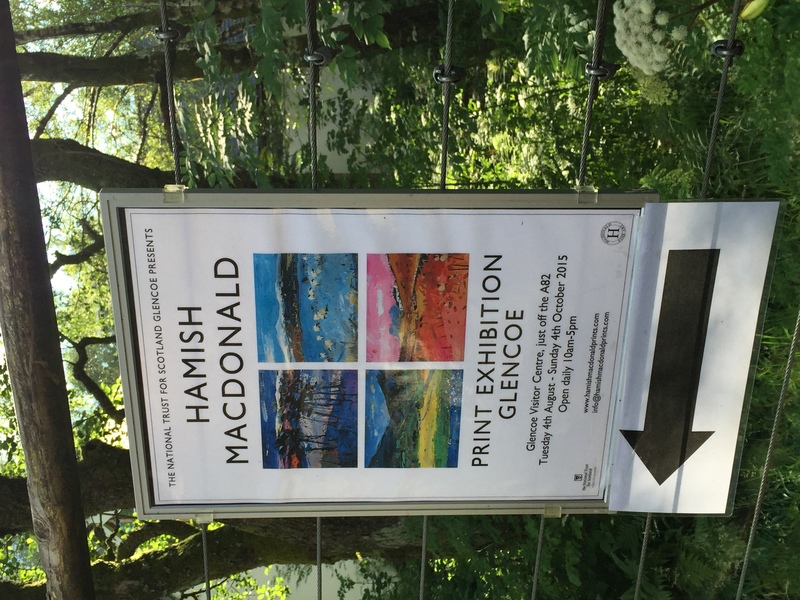 Thank you all again for your support and kind words during the 2013 Hamish MacDonald Print Exhibition at the National Trust For Scotland, Glencoe. 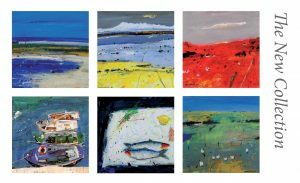 This year was a great success and I have been overwhelmed by the interest in my father’s work from visitors all round the world. Thank you for making the 2013 exhibition a great success! Fantastic first week in Glencoe! Fantastic weather in Glencoe! Fantastic first week! Thank you to everyone who has visited so far! Full range of prints & cards will be available. our new medium litho print, Farm Road in Winter. Card Gift Sets are now available to buy online. Thank you all for your support and kind words during the Hamish MacDonald Exhibition at the National Trust for Scotland, Glencoe Visitor Centre. 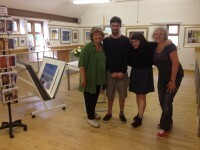 It was great to have an exhibition in such a wonderful place. I hope you all enjoyed the show. 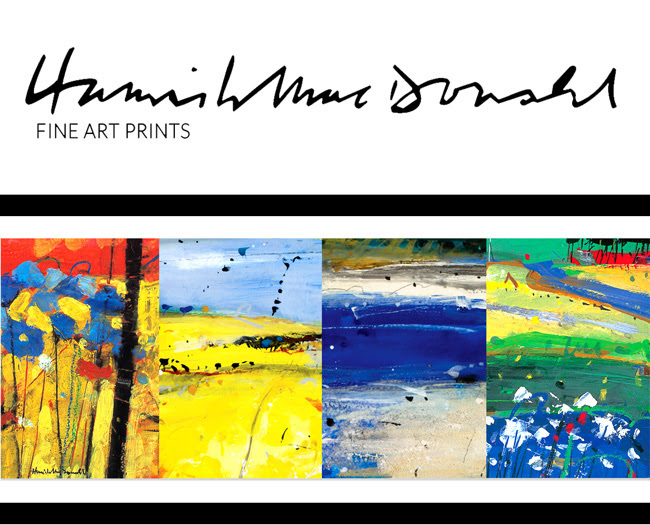 If you would like more information regards any of my fathers prints or cards, please just let me know. Thank you all for making the show a great success! 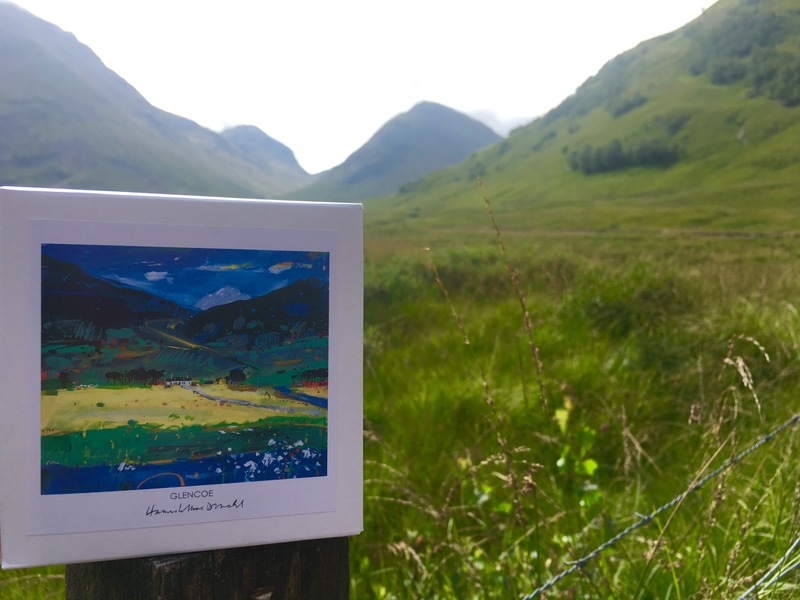 The works of a major Scottish landscape painter are on show at the National Trust for Scotland visitor centre in Glencoe. Hamish Macdonald was renowned for his contemporary take on the colourist tradition, magically capturing the atmosphere and vitality of his subjects. 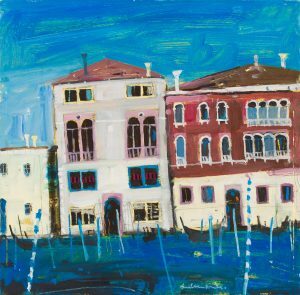 During July a selection of his prints will be on display including examples of his Giclee work from the recent ‘Retrospective Exhibition’. 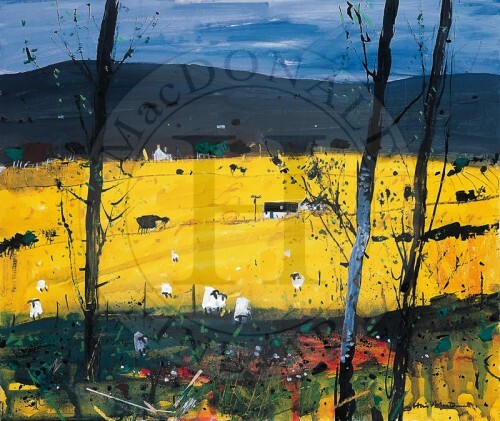 Glasgow born MacDonald is now widely regarded as one of Scotland’s most successful contemporary artists, following in the tradition of the famous colourists movement, with a fluid style and broad palette. During his lifetime – he died in 2008, his works were widely exhibited but this is a unique gathering of prints. 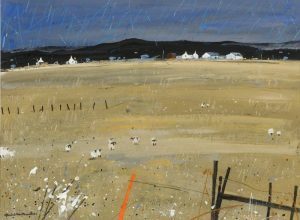 Set in one of Scotland’s most beautiful landscapes the Trust’s centre is the perfect location for this exhibition. 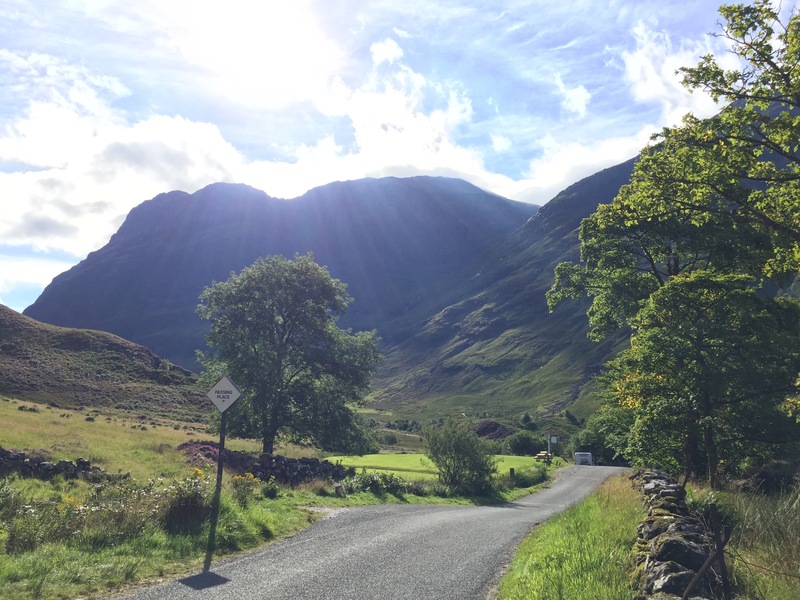 Regular interactive displays tell the story of the area including the infamous Massacre of Glencoe, and put the scenery into context. Facilities there include a splendid cafe, and well stocked shop. 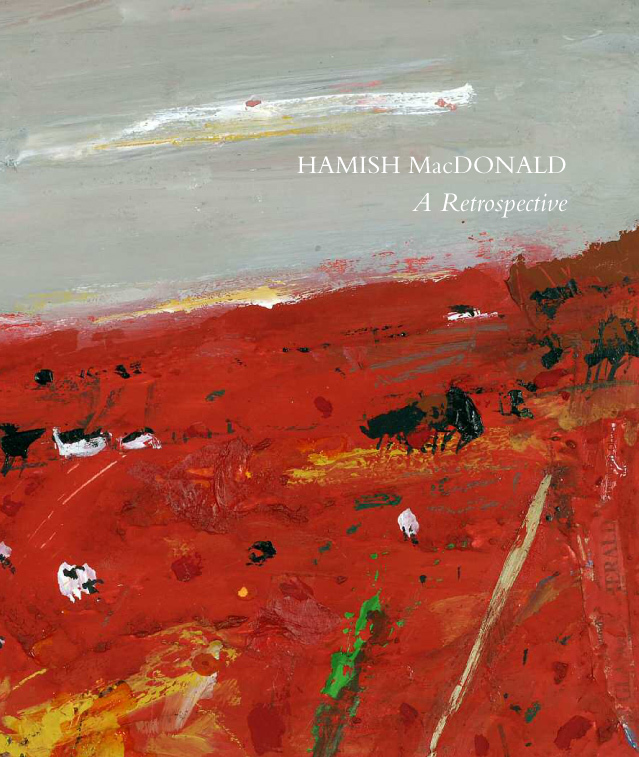 Visitors will be able to take the works of Hamish Macdonald home, in the form of cards and much sought after prints. 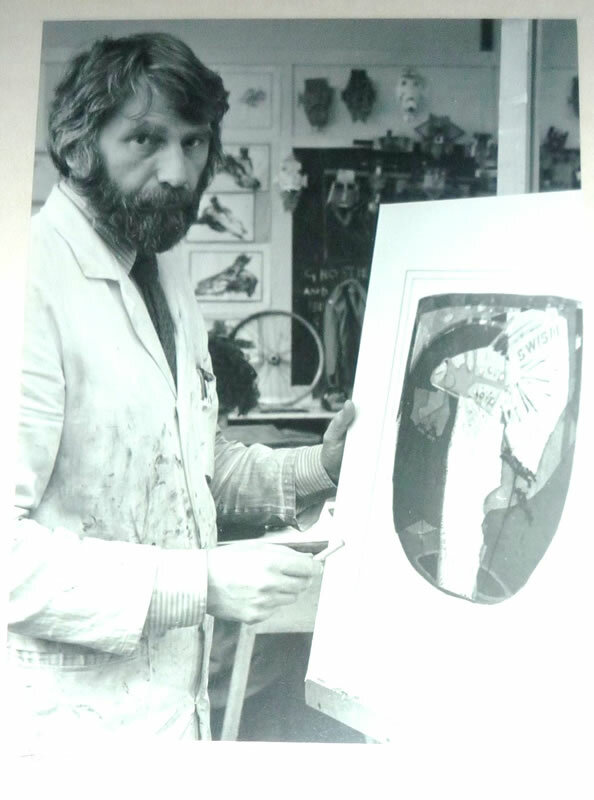 Since 2008 I have been fastidiously cataloguing my father’s work. 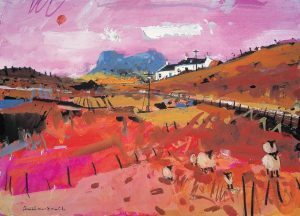 Whilst he was best known for his paintings that extended the Scottish Colourist tradition, his style was constantly evolving throughout his career. The early works, to be shown here soon, will highlight a diverse range of approaches including a significant pop art influence. 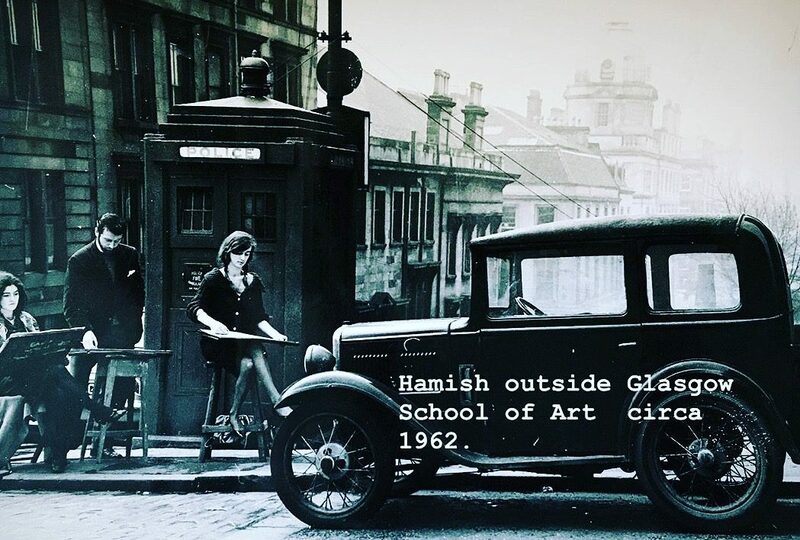 This early work was undertaken whilst studying Drawing and Painting at Glasgow School of Art (1963-’67) and the successive years after he graduated. 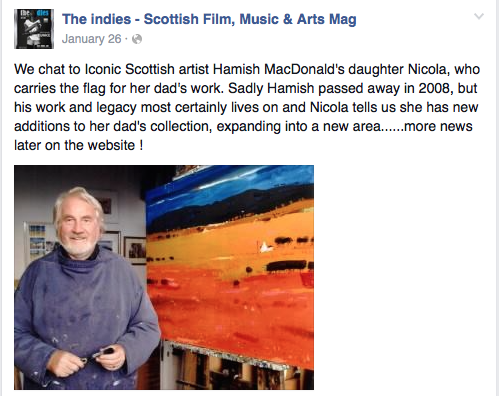 Hamish MacDonald is now widely regarded as one of Scotland’s most successful contemporary artists. 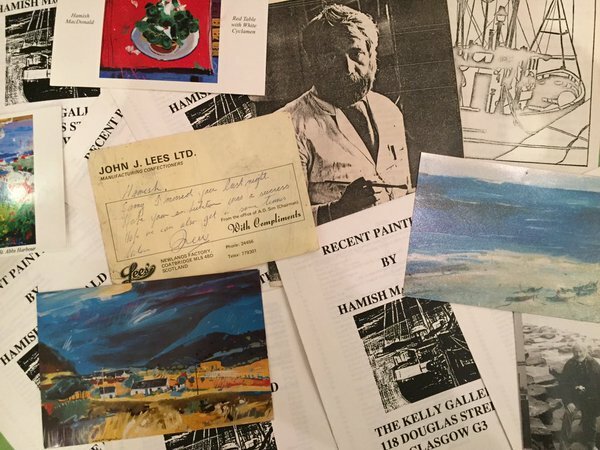 Since 1964, Hamish has staged numerous solo exhibitions in Scotland and Cornwall. 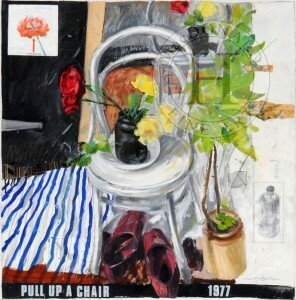 He also participated on group shows with prominent galleries in London and throughout the U.K. His works can be found in major collections throughout the world. 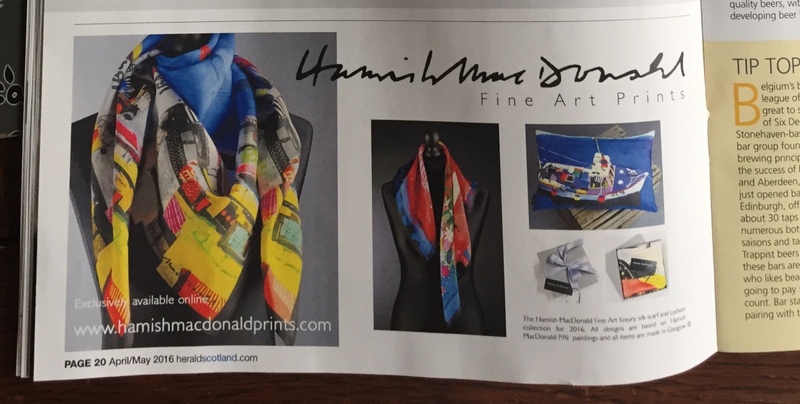 Various original works are represented as cards and Hamish’s limited edition prints are enthusiastically collected. 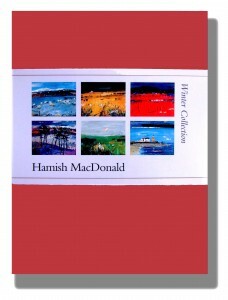 There will be a Limited Edition Hardback book to accompany the exhibition, available from Sat 10th March 2012. NEW ! 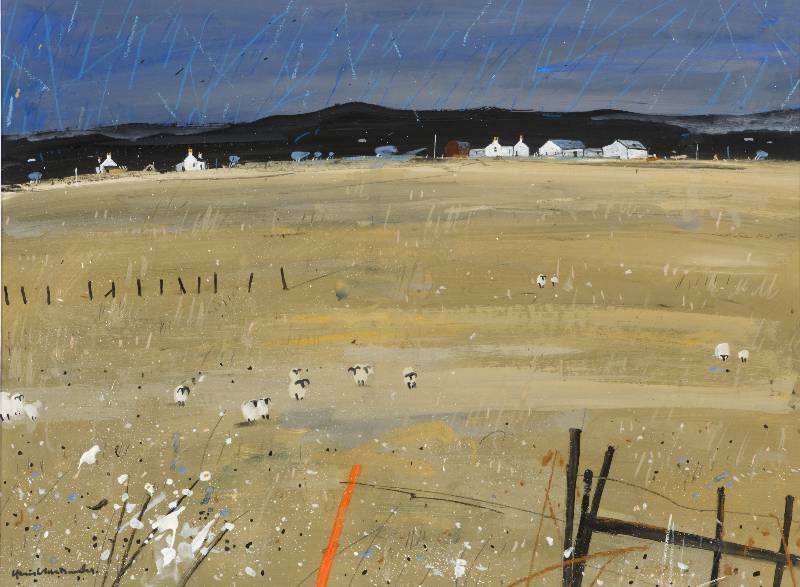 Winter Card Gift Collection – Featuring our new card ‘Sheep Farm Skye’. 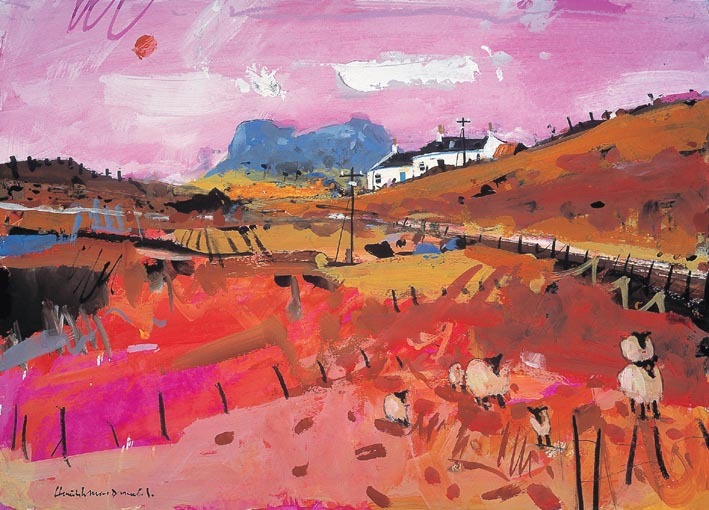 ‘Sheep Farm Skye’ greeting card now available. To see the full range of greeting cards click here. 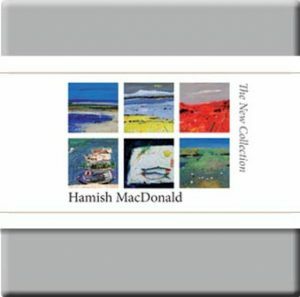 The beautifully presented boxes of gift cards are now available; four themed selections from the popular range of cards. See the boxes here or contact Nicola for further information.